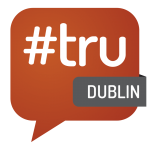 @IrishRecruiter / #tru / Why are we looking forward to truDublin? Founder of TRU, Bill Boorman explains why is tru Dublin 2016 such an exciting event for the recruitment industry. Everyone is very welcome to truDublin on the 28th of January at the Vaults in Dogpatch Labs! We will have a very interesting mix of people, from those only thinking about choosing Recruitment as a career to experienced HR Managers, people in the Talent Tech arena and those on the business side of the industry. Over 60 companies and over 120 people have registered for tru Dublin 2016.